Many cloud-based customer relationship management (CRM) systems like Salesforce.com have become the standard sales and support tool for large enterprise and government organizations worldwide. The idea is pretty simple: manage your business interactions in a central database, share them with coworkers so that everyone stays on the same page, and leverage that knowledge for increased sales and more effective customer service. But, often, dedicated CRM programs can be very complicated to set-up and not very intuitive to new users. While it would be wonderful to have all of customers organized neatly into opportunities and leads, along with the probability of closing and potential value of the deal, rarely is this the way information is handled in smaller organizations. Certainly, having this information, and more, would be ideal. However, with the demands of running a business, having to enter vast amounts of data and learn unfamiliar programs can be overwhelming. 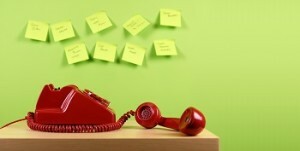 With a small business, you may get dozens or even hundreds of calls per day, but chances are that you keep most of your notes from callers scribbled on yellow post-it notes or scrap paper, if you track them at all. Let’s face it, the time it takes to log these transactions into a traditional CRM can be too much. Often it’s not even possible to create a full record because all of the information you have on the contact is the date, time, phone number and the caller’s first name. Take this call, for example, Mary calls to ask whether you have any openings in June for your rental cabins. You tell her there are openings and give her a quote, but she’s not ready to book yet and hangs up. From her Caller-ID, you can see that she’s calling from the Trenton, New Jersey area. But, you weren’t able to gather more information from her during your brief conversation. At Halloo, we recognize that small business customer relationship management is very different from enterprise CRM. A more practical and user-friendly system is required and data entry has to be minimized. And, the technology advances that are available need to be incorporated into the system. A virtual phone system tracks when a call comes in, so why does that information need to be re-entered into the contact management system? Plus, the caller id info should be incorporated into the contact record so that agents don’t need to spend time asking questions such as city and phone number. With Halloo’s cloud based phone system, these contact management tools are already included. Not only is all of this information already tracked, but your teammates are able to add their notes directly into the contact record. So, you’ll know your colleague, Tom, talked to this person yesterday and provided a quote for the cabin, cuing you to start the conversation with the caller by asking if she’s ready to make a reservation. Halloo’s tools were designed to work seamlessly together to save you time and effort. All of the best benefits of CRM have been incorporated into this small business-friendly, easy-to-use contact management system. This entry was posted in Cloud Phone System, Customer Relationship Management, Small Business by Jim Li. Bookmark the permalink.